Even before the outbreak of the Ebola epidemic in 2014, families in the Northern Province of Sierra Leone, were still suffering the effects of the many years of violence that killed and displaced thousands. Countless children lost their parents or were separated from them, and not all of them have found a new loving home. The Ebola outbreak left many more children without parental care. Makeni has a population of over 100,000 and is the largest and most important city in northern Sierra Leone. The Northern Province is predominantly agricultural and most people make a living as subsistence farmers in rural areas. In the city of Makeni, most people work in the informal sector, for example as petty traders selling merchandise on the streets. On the whole, living conditions here in the north of the country are extremely difficult. Only around 30 per cent of households have access to drinking water from an improved source, only ten per cent have access to a hygienic toilet facility, and only two per cent have electricity. The Ebola epidemic has made things worse because the price of basic products has increased and adult could often not go out to earn a living. There are a great number of vulnerable children in the region, including those who have been separated from their parents, those living in dysfunctional families who are unable to meet their children’s basic needs, children affected by HIV/AIDS, street children, children engaged in hazardous labour activities and those with a disability. Because Makeni was so severely affected by the violence of the civil war, there are also a great number of children who lost their parents during the conflict. Children who have lost the care of their parents are incredibly vulnerable and often suffer ill treatment, even when they are living with their extended family. They may be forced to do hard labour, they may be sexually abused, suffer from neglect or they are simply treated differently and do not receive the same love, attention and guidance. Girls who have lost their parents face particular prejudice and are often discriminated against. They are made to take on most of the domestic chores but are still perceived to be problematic and more difficult to raise than boys. The risk of early pregnancy is another concern amongst caregivers. Education is the crucial foundation that will enable children to combat poverty and lead independent lives as adults. An SOS Children's Villages survey showed that vulnerable children are less likely to be enrolled in school and twice as likely to drop out. For most of these children, the reason they drop out of school is a lack of funds and the need to go out and work to provide for themselves. There are a number of factors that keep girls from attending school, including early marriage or pregnancy, or having to care for younger siblings. In addition, the traditional view that girls belong in the home is still very widespread, and boys are often favoured in terms of education. 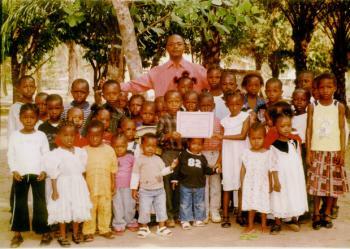 SOS Children’s Villages began working in Makeni in 2007 due to the great number of children in need in the region. Makeni was a rebel stronghold during the civil war and the town is still feeling the long-term effects of the violence. The children attend the SOS Kindergarten together with children from the neighbourhood. 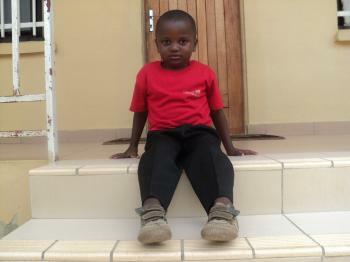 This ensures that children from SOS families make friends and are integrated into the local community from a young age. Around 160 children attend the kindergarten. The children then go on to complete their education at the SOS Hermann Gmeiner primary school in Makeni, which is attended by around 300 pupils. The school is an important educational institution in the area, as many of its pupils may not otherwise have been able to attend school.